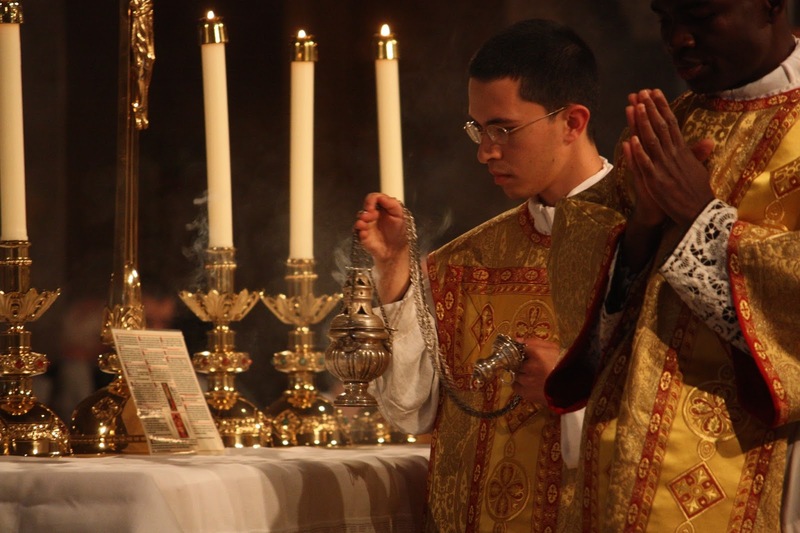 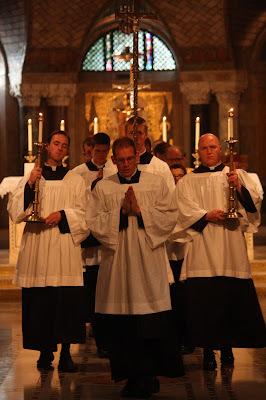 RORATE CÆLI: Photos from FSSP pilgrimage to Washington, D.C. 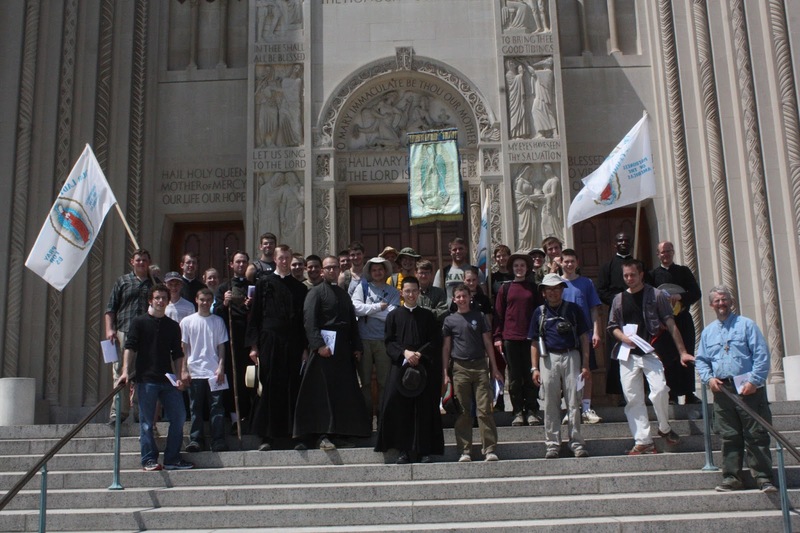 Photos from FSSP pilgrimage to Washington, D.C. 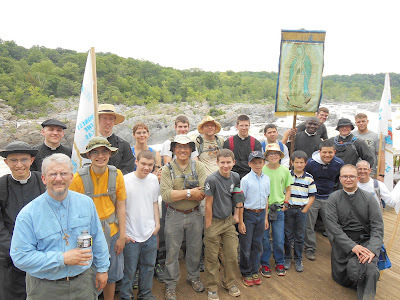 Earlier this month a newly-ordained priest and about a dozen seminarians from the North American District of the Priestly Fraternity of Saint Peter led a pilgrimage from Barnesville, Maryland, to Washington, D.C. 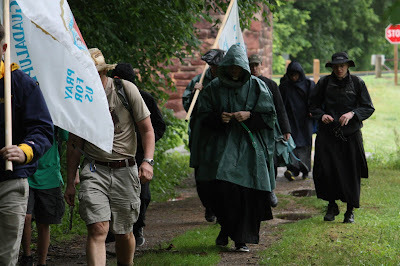 Details were announced here. 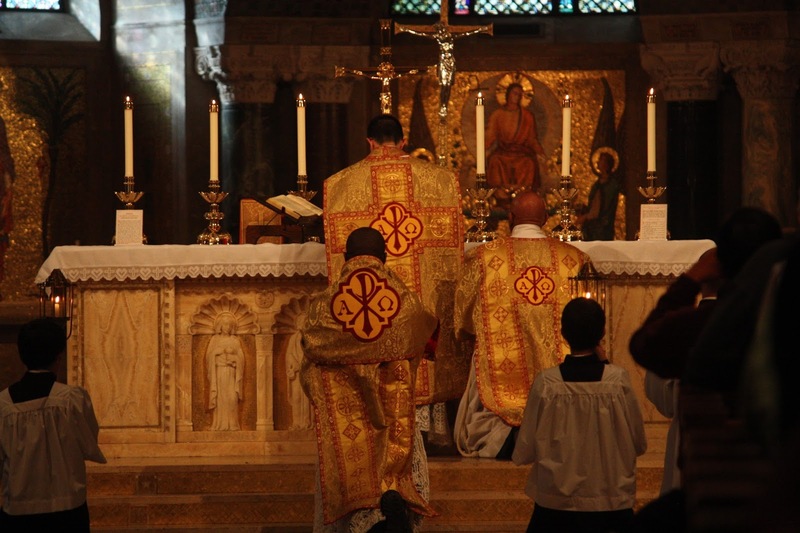 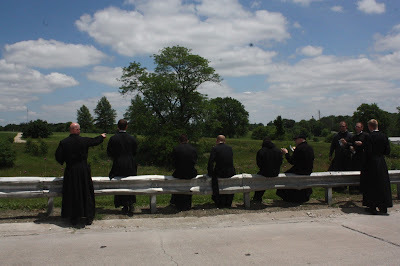 We are pleased to share some photos, courtesy of the FSSP, from the three-day pilgrimage. 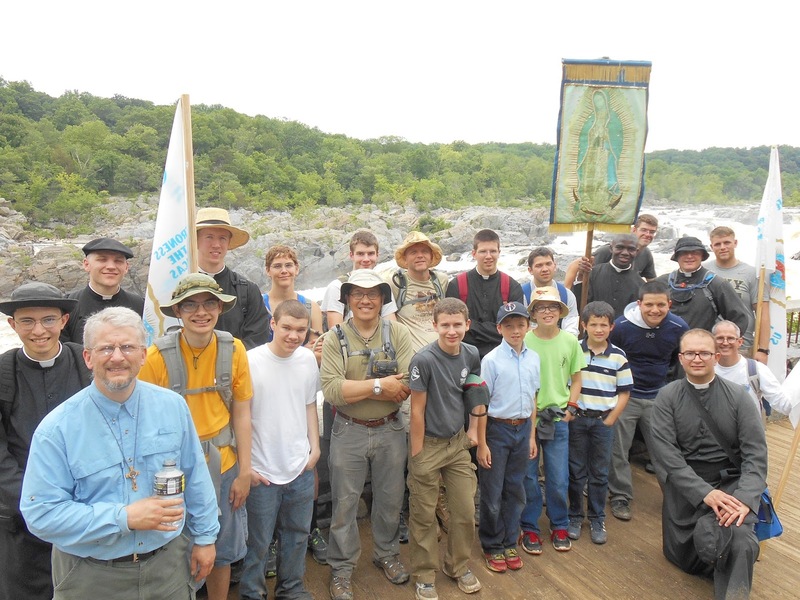 Their 55 mile walk was along the C&O Canal, concluding with a Solemn High Mass in the crypt church of the Basilica of the National Shrine of the Immaculate Conception. 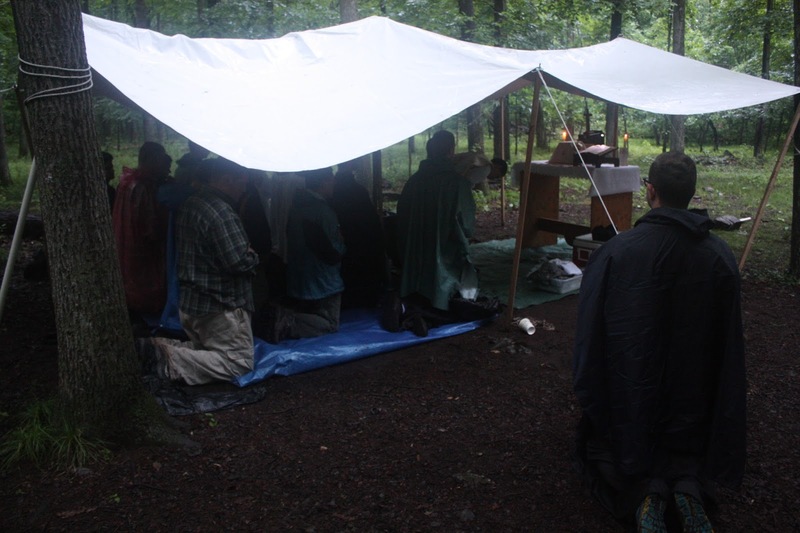 The Mass, using the Marian propers on First Saturday, was offered by the Reverend Father David Franco, F.S.S.P., who was ordained five days before the pilgrimage, on Ember Saturday (30 May). 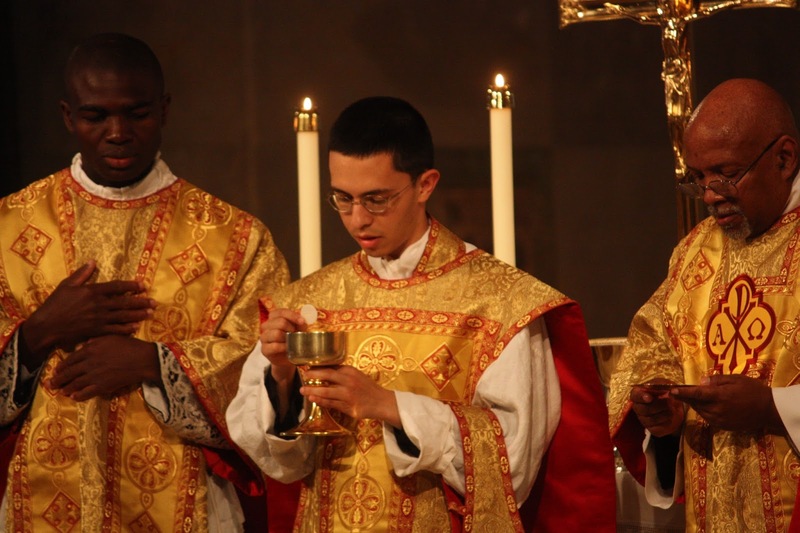 The deacon for the Missa Solemnis was from the Archdiocese of Washington, and a seminarian from the Fraternity served as straw subdeacon. Gregorian chant propers were sung by men based at Saint Mary, Mother of God, church in Washington, D.C., and the local choir "Chorus Sine Nomine" sung William Byrd's "Mass for Four Voices" and several polyphonic motets. 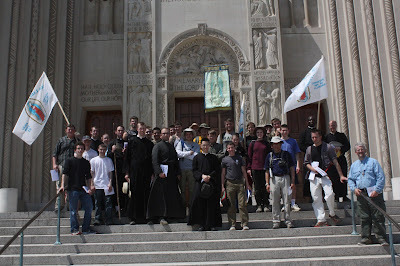 The next day, most of the seminarians sat in choir for a Missa Cantata at Saint Mary's in D.C., and later sung vespers at Saint Thomas the Apostle Church in the Woodley Park section of Washington, at the invitation of the Oratory of Saint Philip Neri community in formation, which administers the parish.